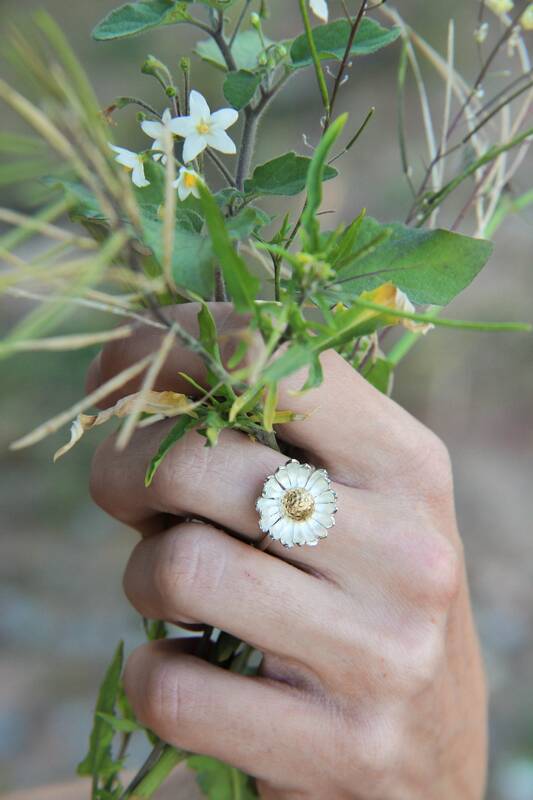 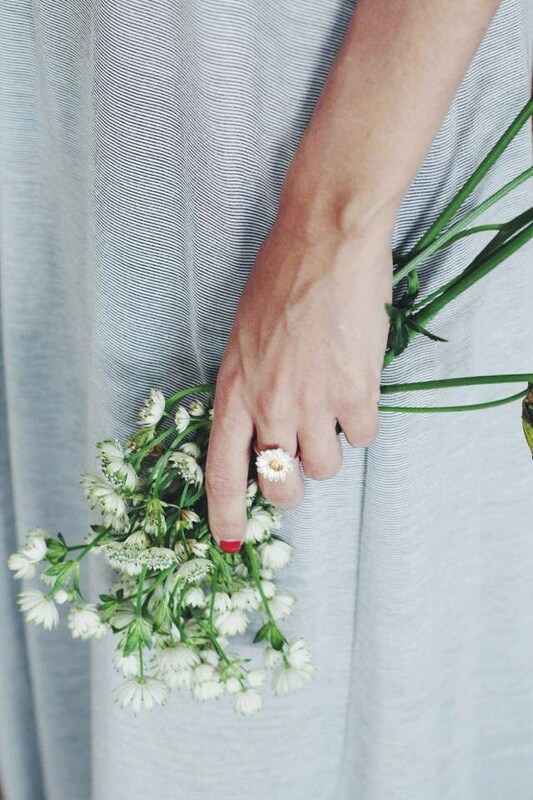 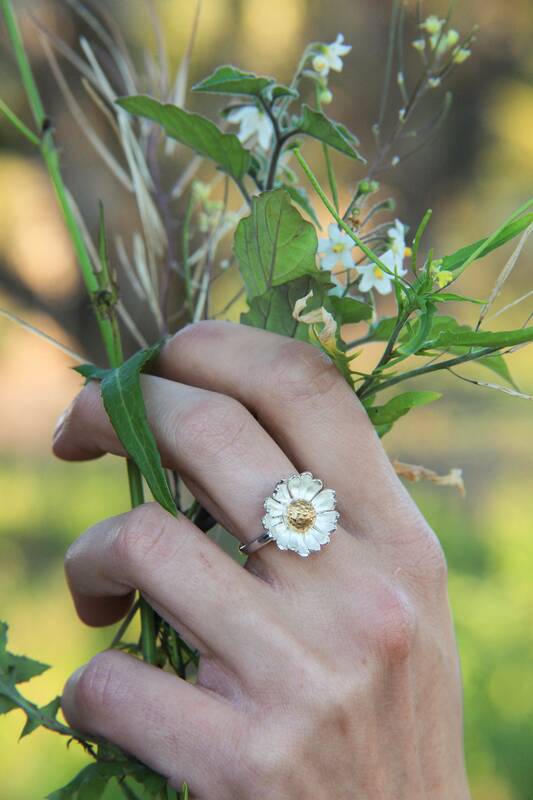 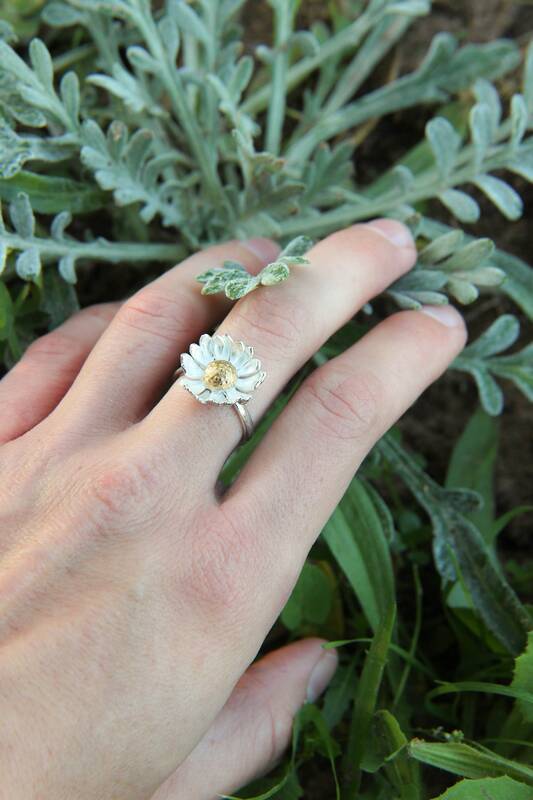 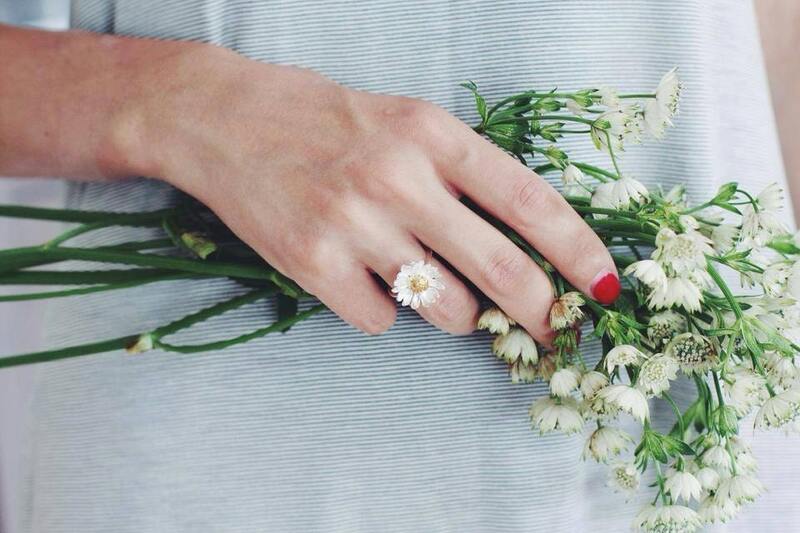 This delicate summer ring features romantic design with tiny daisy flower. 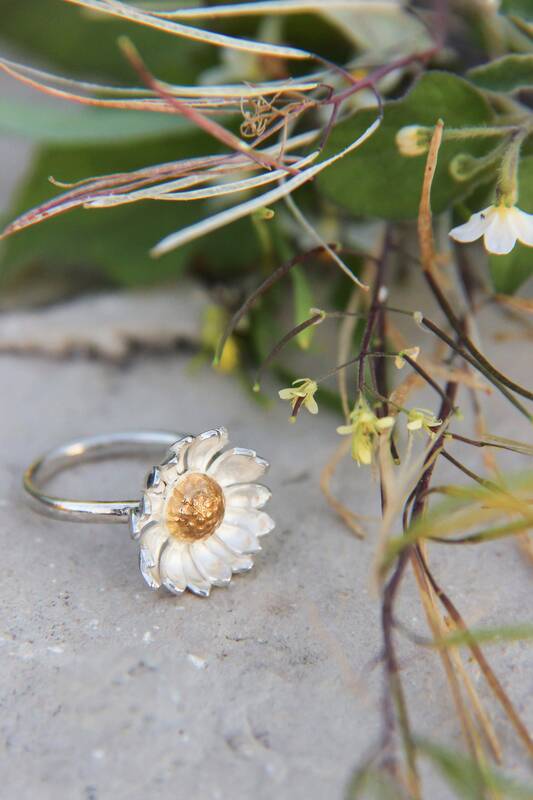 This jewelry piece is 100% handmade using traditional techniques. 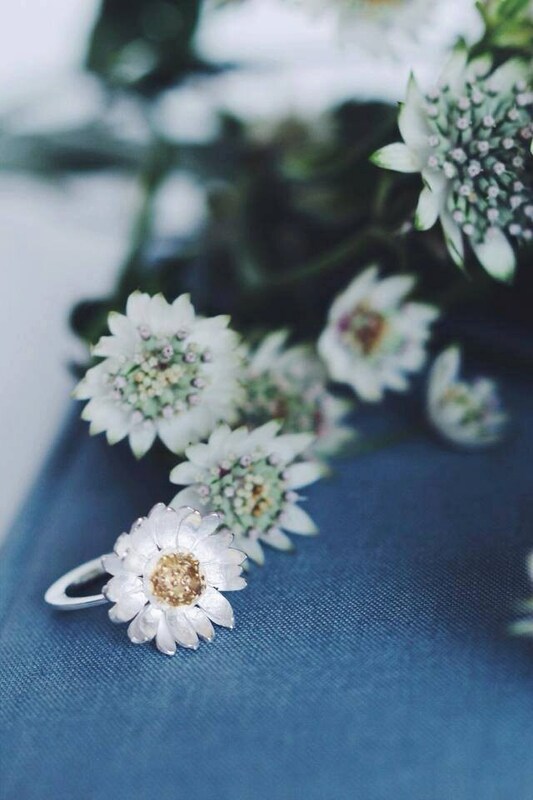 Each petal of the flower was made by hands from sterling silver sheet and then formed and soldered in small white daisy. 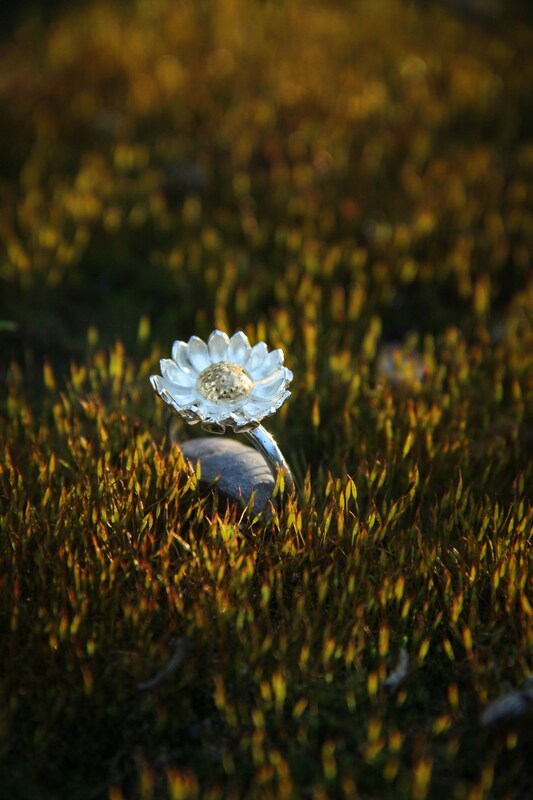 Middle of the flower was gold plated to bring realistic look. 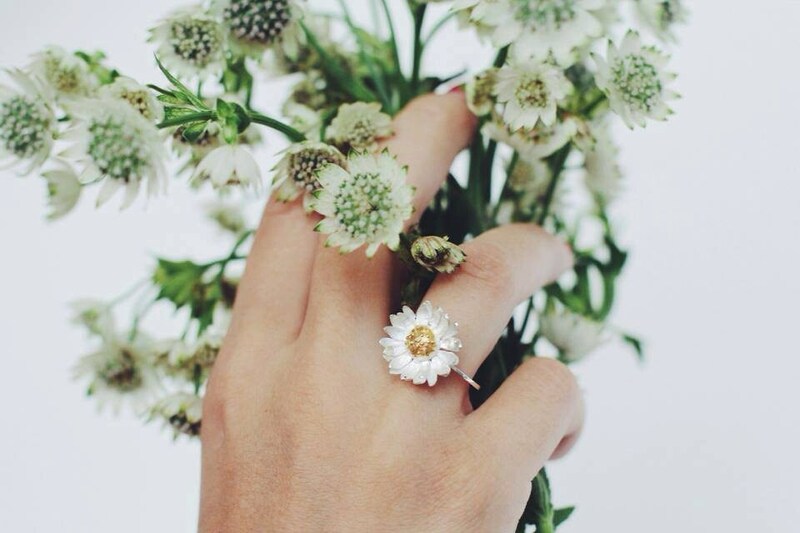 It is a lovely gift for her (or yourself!) 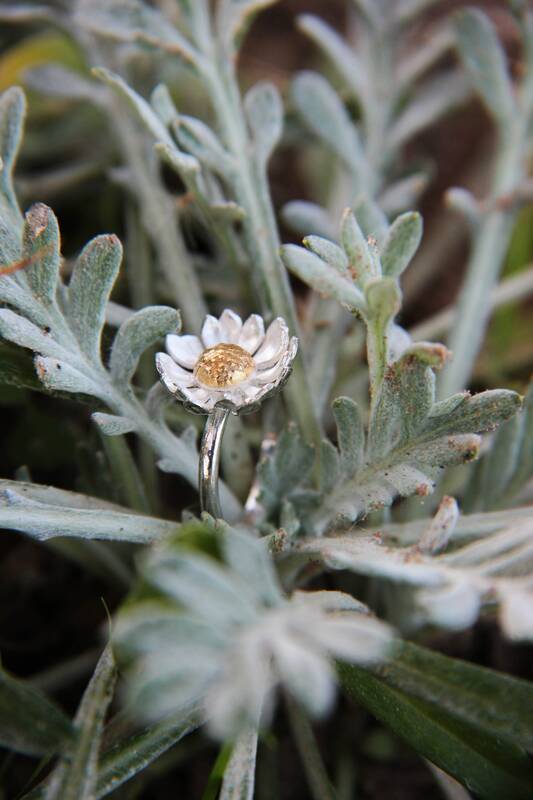 and also could be a very romantic promise ring.